LIGA ng mga Barangay president and 2nd district congressional bet Alam Lim on Thursday, January 17, said President Rodrigo Duterte's endorsement of his candidacy came as a surprise, but will surely boost his campaign. Lim said he was invited by Duterte on Wednesday night for a state dinner but he did not expect that Duterte will raise his hand to endorse him. "After sa dinner, niingon sya 'balikan ta ka, I want to raise your hand, I want to endorse you'," Lim said, quoting Duterte. Lim said they had a conversation, though he refused to share the details. "Siguro nakita niya nga sincere kita sa atong pagserbisyo ug seryoso ilabina kung mahatagan kita sa posisyon. Dili man kita trapo, ug nakahibalo siya ana," Lim said. Lim said he and Duterte have been friends way back when the president was still a prosecutor. However, asked if there is truth to a previous report that Duterte wants Mayor Oscar Moreno out as the president allegedly called the latter corrupt, Lim refused to answer saying he did not like to discuss such. Lim's opponent, former 2nd District Representative Rufus Rodriguez, meanwhile refused to comment. For his part, mayoral candidate Pompee La Viña said he respects the decision of the President, but added he would not give importance to a mere picture that could be easily edited. 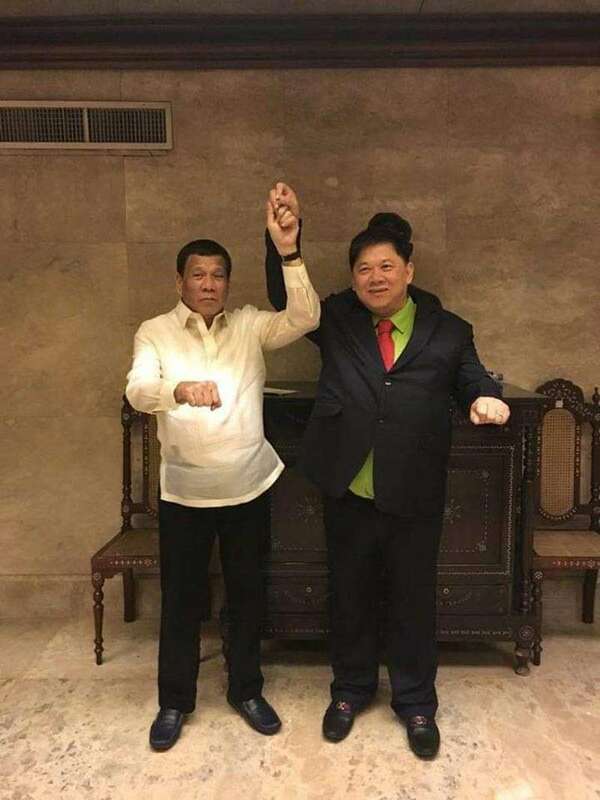 "Sa Malacañang, normal gyud na nga daghan gapa-picture sa president. Dili nako ma-confirm or deny, but bottomline is kung kinsa ang i-endorse sa presidente, atong respetohan na ang importante is kami ni president nakighiusa aning away batok sa corruption," he said.